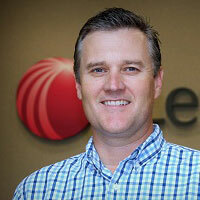 Calvin Barber is Vice President of Technology, Insurance, for LexisNexis® Risk Solutions. As the senior global technology leader since 2012, Calvin’s chief role is the evolution, design, development, implementation and support for the company’s information systems and applications. 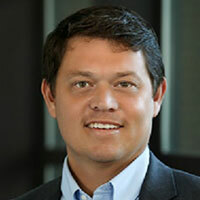 Calvin rejoined LexisNexis in 2009 as an architect responsible for modernizing then ChoicePoint’s Insurance infrastructure and applications. Prior to rejoining LexisNexis, he was Vice President of Advanced Analytics responsible for client specific analytics for government, commercial and non-profit clients. Calvin has a bachelor’s degree in Computer Science from the University of Pittsburgh. 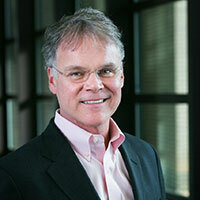 John Beal is Senior Vice President, Insurance Modeling Services, for LexisNexis Risk Solutions. 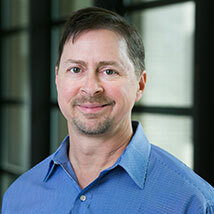 He is responsible for leading the company’s insurance analytics and modeling products and services. With more than 20 years of experience in data and analytics across the insurance and financial services industries and market-leading innovations, Beal and his team develop incremental predictive uses of existing data and processes with a strong focus on developing personal and commercial lines credit-based loss models as well as new non-credit industry solutions. Prior to LexisNexis, he held key leadership roles at First Union National Bank in Charlotte, where he was Vice President, Credit and Market Analytics within the Quantitative Analysis Group, and at Citicorp Bankcard, where he served as Assistant Vice President, Credit Policy Department. Keith Binley serves as Managing Director for the UK and Ireland, Insurance. Keith joined LexisNexis Risk Solutions in October 2016 through the acquisition of Insurance Initiatives Limited (IIL) and will be leading the UK and Ireland property and casualty insurance business. Previously, he was Managing Director for IIL. Keith has 19 years of experience in the financial and technology sectors including banking, debt management and consultancy. He also worked for GE Capital and Capital One and was part of the core management team that launched Metro Bank in the UK. Keith has a bachelor’s degree in science from Sheffield Hallam University. Jay joined Lexis Nexis in October 2016 as Vertical Director, Home. He works with UK home insurance providers to deliver new data solutions which increase understanding of properties, their surroundings and their inhabitants (customers)! His role also spans looking at fresh ways to improve the home customer experience when purchasing, renewing or shopping for insurance. Jay came to us from Allianz where he was Head of Direct Car and Home and also spent three years at Tesco Insurance heading up the Home Pricing team where among other achievements he launched a predictive rating scale for Tesco Home Insurance underpinned by Clubcard data. Other roles include a successful period at Hastings Direct growing their commercial vehicle book and six years at Direct Line in various roles but most significantly managing the renewal P&L for the flagship motor product. 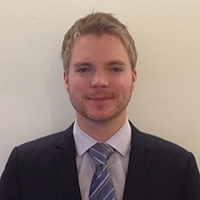 Prior to entering the UK insurance arena, Jay graduated in Economics from the LSE. James Burton serves as Director of Product Management across UK and Ireland, having come via the IIL acquisition, and is responsible for the management and execution of our product strategy across the business. Prior to LexisNexis, James has worked in a number of product and analytical roles across Loyalty, Credit Risk and Debt Management after spending a number of years as a Government Bond trader. He has worked for Ikano Bank and Equifax and has a Master degree in Economics from Nottingham University. Graham Gordon joined the LexisNexis Risk Telematics team in 2016. 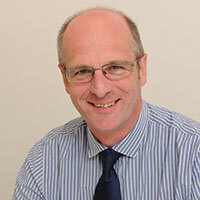 Formally he was part of the senior leadership team as Director of Marketing at commercial fleet specialist Masternaut. Graham has led several key data and analytics initiatives, including forming much of the early analysis and commercial understanding of the value of driver behaviour in the commercial fleet and business car sector. 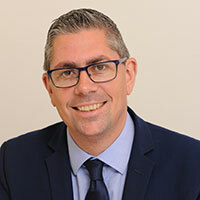 Graham holds a bachelor’s degree from Lancaster University, post-graduate qualifications from the Chartered Institute of Marketing and more recently completed his master’s at the University of Cambridge, graduating from the Judge Business School Executive MBA programme. Jonathan Guard has been with LexisNexis Risk Solutions for six years. He looks after several of the larger accounts in the UK and Irish markets providing support for LexisNexis commercial property, home and motor products. Prior to LexisNexis Jonathan worked at Avego, a start-up focused on innovative car ride sharing technology. He has also worked with Mapflow, Ericsson and the CSA Group in sales and business development roles. Jonathan has an MBA and has worked in several fields including tin mining, gold exploration and telecommunications. Ash Hassib is Senior Vice President and General Manager, Insurance Solutions for LexisNexis Risk Solutions. He is responsible for business development and partnerships that strengthen the organization’s insurance offerings including marketing, point of sale, underwriting, renewal and claims. Hassib joined LexisNexis in 2002, became part of the insurance leadership team in 2005 and was named general manager in 2010. 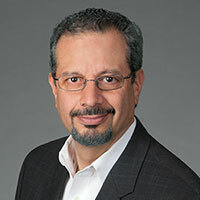 Hassib has led several product management teams that manage mission-critical products, such as MVRs (Motor Vehicle Records), Current Carrier®, and PolicyWatch, which benefit the insurance industry. He has also been involved in shaping the company’s position regarding legislation and regulations that affect the auto insurance market. With a bachelor’s in computer science, Hassib’s roles in IT increased in responsibility prior to joining LexisNexis. For more than seven years, Hassib successfully owned and ran a management and technology consulting company. Bill Madison is CEO Insurance for LexisNexis Risk Solutions. He is responsible for all auto, home, life and commercial insurance business including solutions for underwriting, claims, and analytics, for the US and international markets. Bill has played a key role in the integration of data services into multiple channels and in transforming LexisNexis from being a data provider in insurance to providing a holistic approach to risk analysis, underwriting, and claims processing that includes process enhancement. These innovative solutions have helped insurance carriers achieve significant improvements in performance. Bill joined the organization in 1989 as part of the Equifax acquisition of Innovative Research, where he was a member of the leadership team which developed several products that revolutionized auto insurance underwriting. When the company’s insurance services team was spun off from Equifax to create ChoicePoint, he was instrumental in transitioning the organization into a standalone unit. 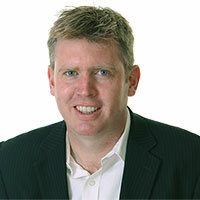 Martyn Mathews serves as Director of Motor and Telematics for the UK and Ireland, Insurance, LexisNexis Risk Solutions. Mathews joined LexisNexis Risk Solutions in October 2016 through the acquisition of Insurance Initiatives Limited (IIL), and is currently tasked with developing and executing the sales, alliances and customer delivery strategy. 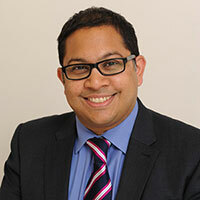 Prior to LexisNexis, he worked for Experian for 14 years in a variety of roles, most recently as Head of Vertical for Insurance, Life, Pensions & Investments. Mathews also spent time with Vodafone Corporate and the logistics company TNT Mail. Alan O’Loughlin leads the Insurance Analytics and Statistical Modelling team for UK, Ireland and the rest of the Europe. Alan has been in this role now with LexisNexis Risk Solutions for almost four years and is responsible for growing the team, building and designing our data products, models and scores from an R&D perspective, and then helping to deliver those products into the market. Alan supports the sales team and works closely with a number of insurers to help them understand their own data better and the benefits of LexisNexis® products. Additionally, he’s tasked with finding and creating new data sources, and creating new attributes and predictive models to better understand the risks to the insurance market from a pricing, underwriting and fraud perspective across Motor, Home and Commercial lines of business. Alan has spent the past 14 years working with data and building models, and prior to joining LexisNexis Risk Solutions, he spent a number of years working as a Consultant Statistician building fraud and non-compliance models for governments across the world as well as in financial risk working for global banks as Data Scientist/Pricing Analyst for Deutsche Bank and Danske Bank, in pharmaceuticals as a Statistician with Pfizer, and in the gaming world as a Sports Data Editor with Paddy Power. 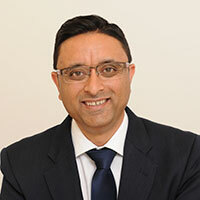 Chetan Patel joined LexisNexis Risk Solutions in October 2016 through the acquisition of Insurance Initiatives Limited (IIL). Chetan has 15-plus years of experience in governance, risk and compliance attained through strategic development and management of information security, data compliance and risk management frameworks in multi-geographic B2B and B2C operating models. These have been delivered across financial services, insurance, utilities and telco industry sectors. In addition to being a Certified Information Security Manager (CISM), Chetan also holds associate membership of the International Compliance Association (ICA). His roles have also including acting as an Information Security Manager, Money Laundering Risk Officer (MLRO) and Data Protection Officer (DPO). 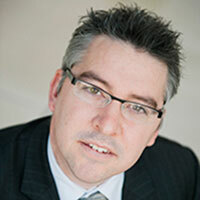 Paul Stacy is R&D Director and Director of Automotive Development, EMEA, at LexisNexis Risk Solutions. Paul works closely with automakers across the EMEA region to help them leverage the data from connected cars. A key figure within the LexisNexis Risk Solutions Global Products team, Paul is focused on developing solutions that bridge the insurance and automotive manufacturing industries utilising connectivity as a means to engage consumers with driving behaviour information, collision detection and other services. Paul has more than 10 years’ experience in telematics across five continents and has four connected car and telematics patents in his name. Paul co-founded Wunelli, a leading telematics company acquired by LexisNexis Risk Solutions, responsible for the proof-of-concept UBI product, Coverbox, in the UK motor market. Prior to this, Paul worked for Accenture’s insurance practice in Australasia and as a UK-based insurance broker. At University, he studied engineering, completing a master’s degree in mathematics. 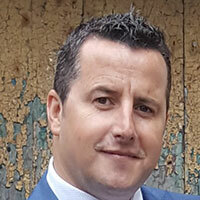 Richard Toomey serves as manager of data analytics in Dublin, having come to LexisNexis from the Mapflow acquisition. He has been with the company for over 18 years and is currently responsible for all geo-spatial data within LexisNexis Risk Solutions. He has extensive experience in the areas of geo-spatial data analytics, location intelligence and mapping. Richard has worked with many of the world’s leading commercial and home insurers and third party data suppliers. Rutger van der Wall is Vice President, Global Product for LexisNexis Risk Solutions. In this role, he is leading the international efforts for all Telematics offerings as well as bringing new capabilities to the Global Telematics offering. His experience comes in part from a diverse career background comprised of domestic and international experience, exposure to product introductions in established and emerging markets, and firsthand knowledge of Telematics solutions. Rutger joined LexisNexis in 2002 and advanced to his current position in early 2014 after serving for three years as Vice President Global Legal Software Solutions based in the US and four years as the company’s managing director of The Netherlands, Belgium, Germany and Emerging Markets like Russia, the Middle East and Latin America. Earlier in his career, Rutger was associated with both large and small European firms in various management, business development, and marketing roles. 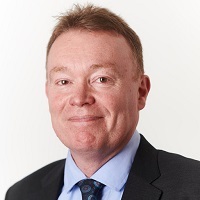 Graham Young is Head of Insurance Client Engagement, UK and Ireland, for LexisNexis Risk Solutions, and is responsible for managing the delivery of products to clients and the looking after the on-going client relationship. Prior to this role he led the Client Delivery Management team for the UK&I, where he was responsible for working with sales and customers to support the smooth execution of client deliverables. 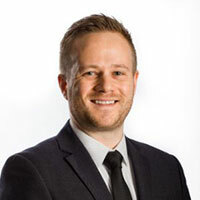 He started with Insurance Initiatives Ltd (IIL) in 2012, which LexisNexis Risk Solutions acquired in 2016, fulfilling a number of management roles covering everything from client relationships and delivery management, team management, establishing a project management team, recruitment, HR, to policy development and facilities. 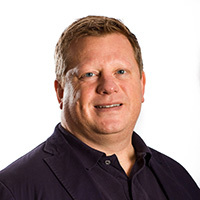 Graham has built a career in IT since 1982, and has had responsibility for the management and success of major programmes for Experian, FICO and Ikano. Programmes included the authentication of identity for central government departments, and the development and delivery of application suites to support major UK retailers.